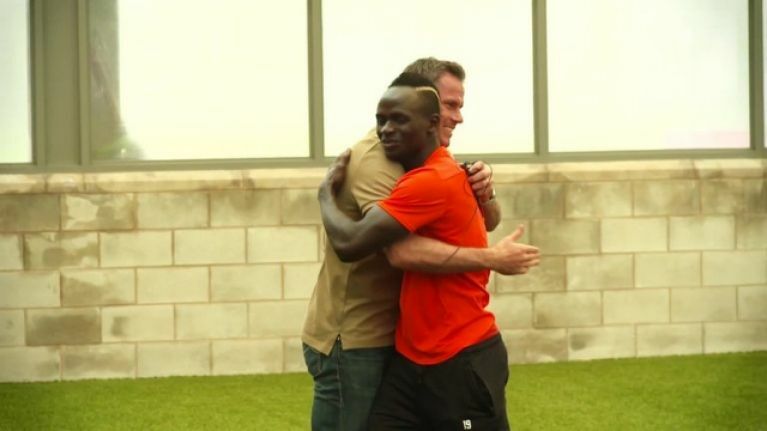 Suffice it to say that Jamie Carragher is a huge fan of Sadio Mane. Mane is enjoying his best season for Liverpool from a goalscoring point of view and he will be showered with plenty of credit if the Reds go the whole way and secure their first ever Premier League title. It comes as no surprise that Mane is currently being linked with some of the biggest sides in Europe and the Senegal international received a considerable compliment from Liverpool legend Jamie Carragher on Monday Night Football. "He's the best wide player Liverpool have had for 30 years," Carragher said. 🗣 "He's the best wide player Liverpool have had for 30 years"
"You have to go back to John Barnes to find when Liverpool had a player like that and that's massive coming from me because I think John Barnes is one of the best five or six players to ever play for Liverpool Football Club." Liverpool's attacking triumvirate of Mane, Mohamed Salah and Roberto Firmino have combined for a total of 58 goals across all competitions this season. 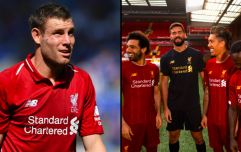 The two wide men - Mane and Salah - have each proved their worth on several occasions throughout the campaign but Carragher was in little doubt when asked who out of Mane and Salah would be more dispensable for the run-in. "Salah," Carragher said when asked by Gary Neville which Liverpool wide man he would prefer to be without for the remainder of the season. "They've got the same amount of goals but I'm a massive fan of Mane. People talk about Jurgen Klopp and the signings of Salah and van Dijk, unbelievable. Mane is the one that got Liverpool back. "If you think, he was Klopp's first big signing, paid £30 million. He was the signing that got Liverpool into the top four. The next season it was the Champions League final, this season it's challenging for the title. "He's been the one who has been there from the very start. "If Liverpool or Man City win the league, a lot of it is going to be down to the wide players. "When we (Liverpool) challenged you (Man Utd) in 2009, we didn't have that wide player. I'm not just talking about these teams, if you go through history of the teams that win a title, the wide players stand out massively. "I'd go as far as to say, I think if we'd have had Sadio Mane in that team in 2009 we'd have possibly won the league. I think we'd have won the league."